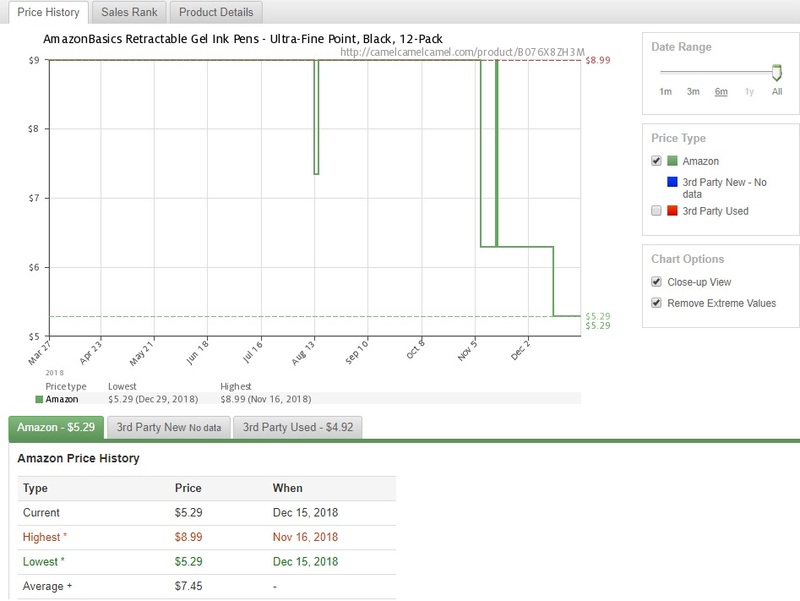 As Amazon.com has become more and more successful, they’ve also been the target of more and more criticism, and the AmazonBasics line of products (Amazon’s “house brand“) is no exception. But whether we’re talking about batteries, power cables, kitchenware, or whatever, I’ve had good experiences with AmazonBasics as a consumer. So, when I saw that Amazon started selling their own retractable gel pens, I had to give them a shot. Currently, Amazon doesn’t offer many options with these pens. They come in two colors, black or blue, and two sizes, 0.7mm or 0.5mm. 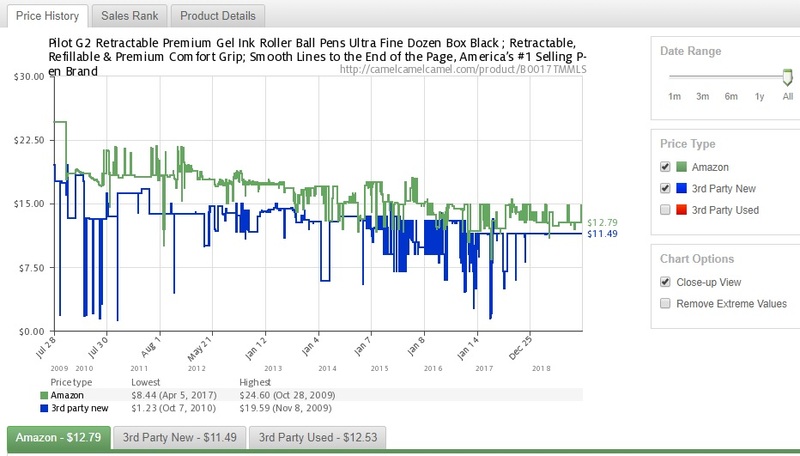 The price fluctuates, but they seem to hover around the $6 mark for a pack of 12, which is pretty good for a “premium plastic” style gel pen. 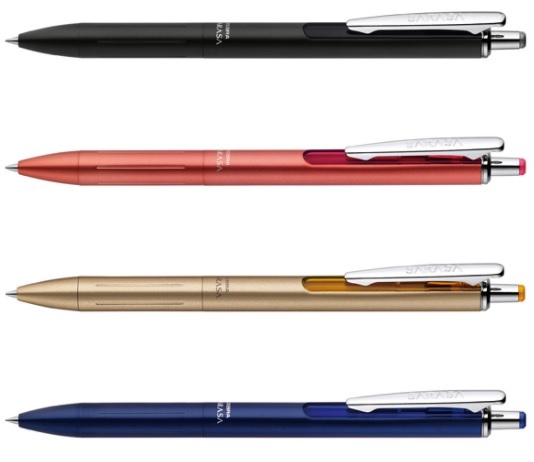 For comparison, the Pilot G2 (the most popular pen in this category) is usually double that price. Since the AmazonBasics gel so much less expensive than its competitors, I’d expected a sharp decrease in quality, but everything has worked well for me over the last month that I’ve been using these pens. They write clean with low smearing, the ink is dark, and the grip section is comfortable to hold. I’ve had no issues with ink leaking, the knock hasn’t jammed, and the plastic clip has so far resisted snapping off. So, if you’ve not sworn off Amazon after one or more of the company’s controversies, then I have to recommend this pen on its price point alone. It’s not my favorite “premium plastic” gel, but I’ll be happy to keep a box of these in my desk for anyone that comes along asking to borrow a pen. But if you dislike or Amazon, or if the price ever rises, then check out the Zebra Sarasa – it is uncannily similar. Ever since the Sharpie Pen began to grow in popularity, it seems like porous point pens have eaten up more and more shelf space. This, honestly, comes as no surprise to me; porous points, even the super cheap ones, tend to write very crisp and clean lines. They make handwriting noticeably nicer and neater. 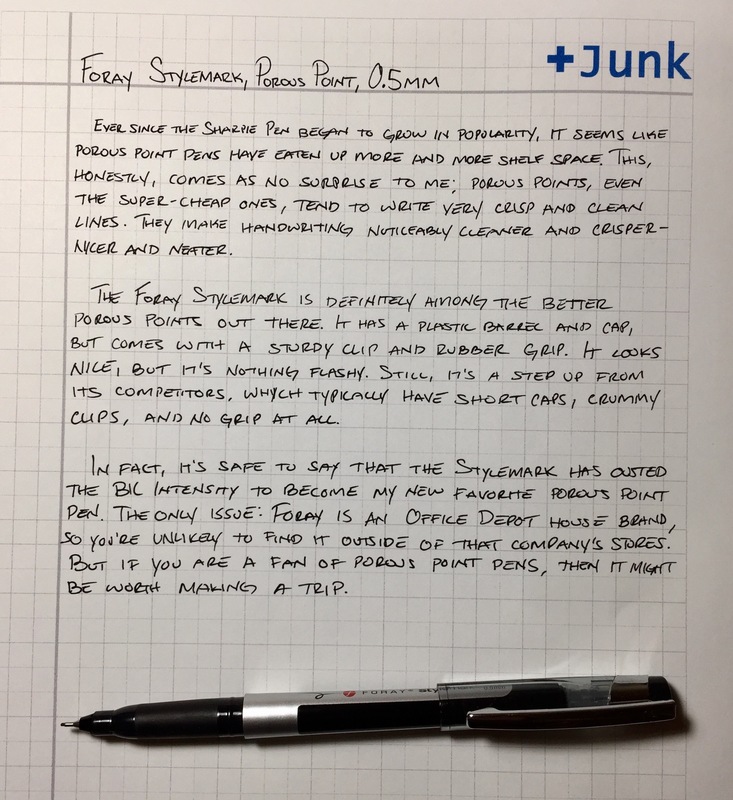 The Foray Stylemark is definitely among the better porous points out on the market. It has a plastic barrel and cap, but comes with a sturdy clip and a rubber grip. It looks nice, but it’s nothing flashy. Still, it’s a step up from its competitors, which often have short caps, crummy clips, and no grip section to speak of. In fact, I think I’ll go out on a limb and say that the Stylemark has ousted the BIC Intensity to become my new favorite porous point pen. The only issue: Foray is an Office Depot house brand. So you’re unlikely to find it outside of that company’s stores. But if you are a fan of porous point pens then it might be worth making the trip. 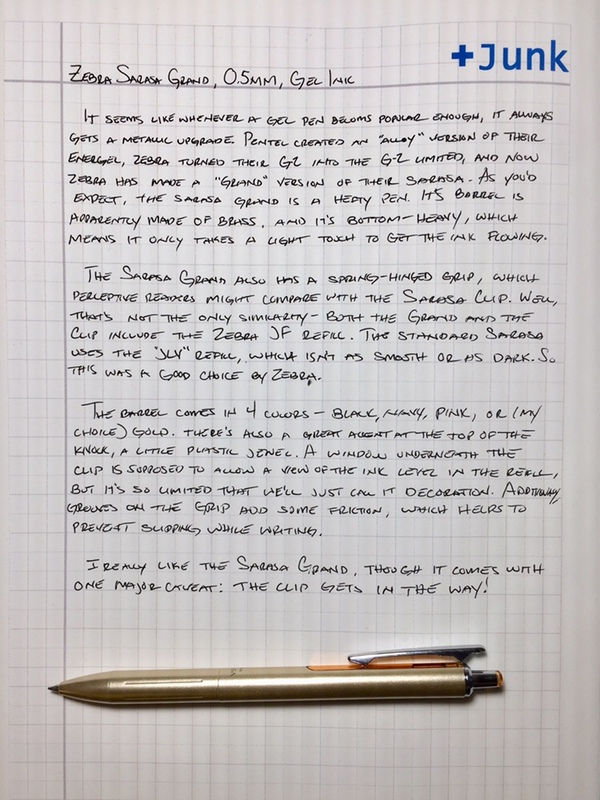 Here’s a review from the ‘Does This Pen Write?’ blog, which mentions that the Stylemark doesn’t bleed through paper as much as the Sharpie Pen. And apparently it doesn’t smell as bad either (though I’ve never noticed an offensive smell from the Sharpie Pen). 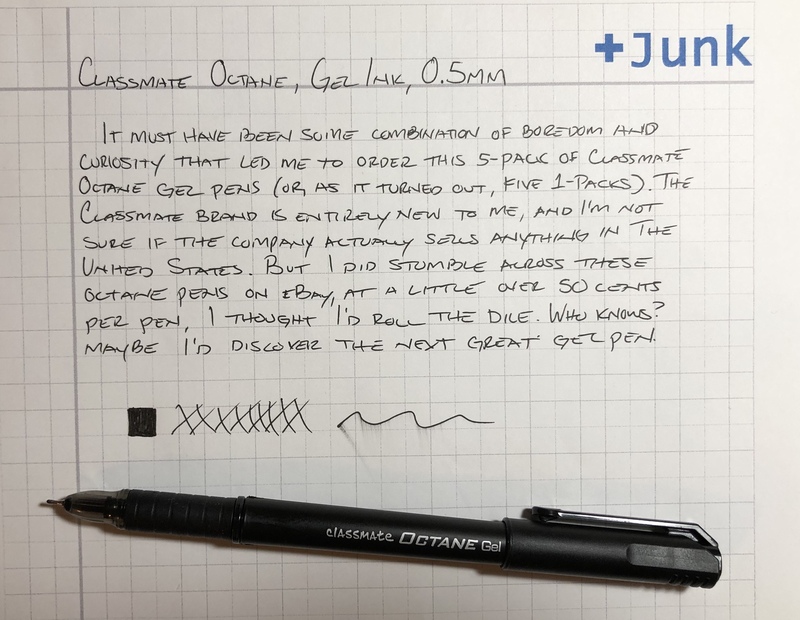 Here’s another review from Scrappy Business that also highlights the lack of bleed-through with these pens. This review also goes into detail about the Stylemark’s color variations. On the other side, Nattosoup deems these pens “not bad” but says there are better options out there. Staedtler Triplus Fineliners are mentioned.